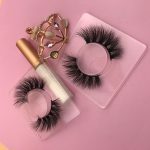 Why is your 3d mink eyelash business not successful? 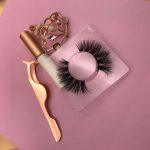 Why do you have so many troubles in the process of doing 18mm Siberian Mink Lashes ? Why did you just fail to do the eyelash business? How can I make your 25mm lashes business go smoothly? 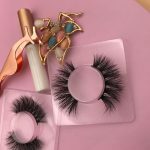 Why are the eyelashes that you sell to your customers returned by the customer? Why do the eyelashes you order each time have a different style? Why do you always like high quality eyelashes and also like low quality prices? 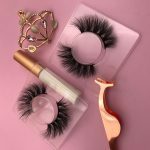 Why are your eyelash customers lost because of the low quality goods you sent? Why is the quality of the eyelashes free to customers customers? What is the product quality trend of customers buying eyelashes now? 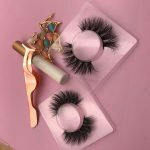 Nowadays, the problem with customers who wholesale enamel eyelashes is that the quality of large quantities of goods and samples is seriously unstable. Give customers a sample, the quality of large goods is uneven. The delivery time is unstable, the delivery time guaranteed to the customer, the customer has carried out the publicity, and the delivery cannot be delivered on time, and the customer is lost. Beauty is the pursuit of consumers after satisfying their living standards. The beauty is the ultimate. If the beauty is not the ultimate, unnatural, and imperfect, what else does it paint? Isn’t it better to not make up? This is the current deviation between suppliers and consumers, which is the source of your loss to customers. Consumers are looking for good quality eyelashes. Consumers are not afraid to spend money. If they are willing to spend, they will feel good. The middlemen will know that low prices, low prices and low prices will eventually collapse in low price and low quality competition. ! Dear customers, can you understand? There is a bias between the consumer and the middleman philosophy. Consumers are of a high standard, and the concept of middlemen cannot keep up with the concept of consumers. When consumers say that the price is high, the middlemen really think that the price is wrong. In fact, consumers are willing to do good things. I suggest that you set up a department to handle complaints. You are troubled by these problems every day, time and cost. Focusing on the sale of the house, the supplier’s products have no worries, and focusing on doing things will do better. To overthrow the logic of the customer, when our logic must be correct, it is not necessary to talk about the customer, but the customer will consider it.